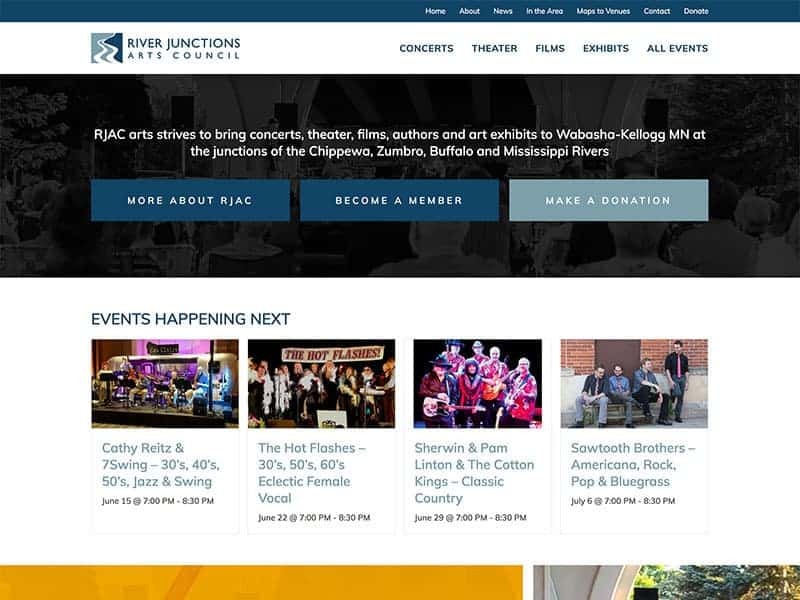 The River Junction Art Council (RJAC) of Wabasha, MN is an amazing organization that helps bring art and entertainment to the residents of the Wabasha area for people of all ages. During the summer, they organize Music Under the Bridge, free concerts that showcase talented musicians from Bluegrass and swing music, and much more. Other events organized by RJAC include Septober Fest, art exhibits, and children’s Theater. RJAC’s goal is to highlight art around Wabasha including the junctions of the Chippewa, Zumbro, Buffalo and Mississippi Rivers. A wonderful organization deserved an equally great website. 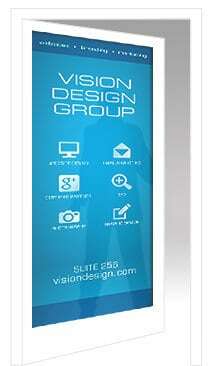 The Vision Design team gave the old RJAC website a a facelift; redesigning the new site for a fresher look. A donate form and calendar of events were also added to keep viewers updated on the many events the River Junction Art Council organizes.